Ophelia is wearing this dress and these sandals. 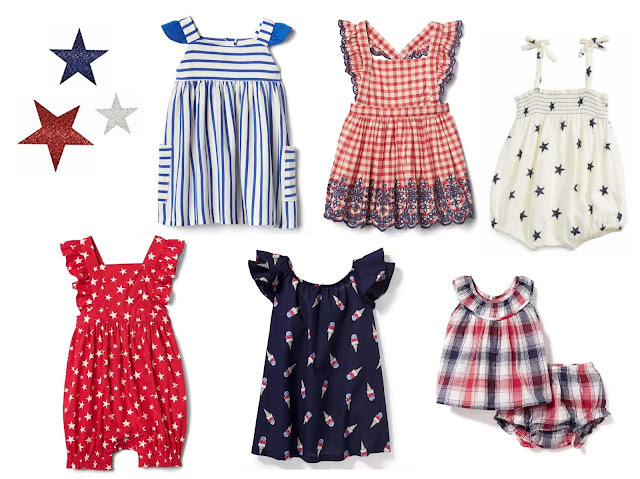 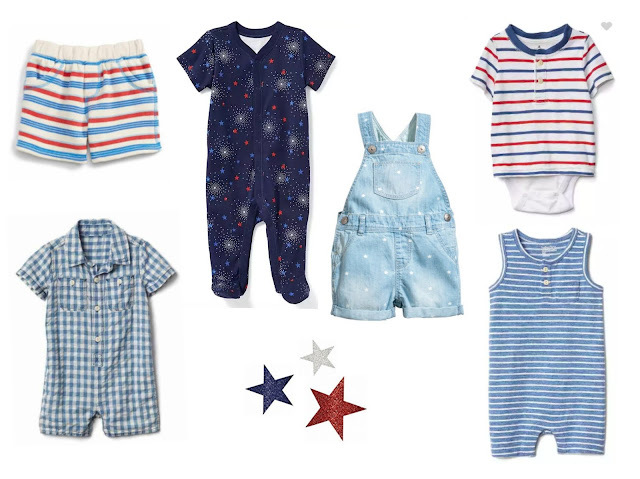 Red, white and blue is kind of a summer must. 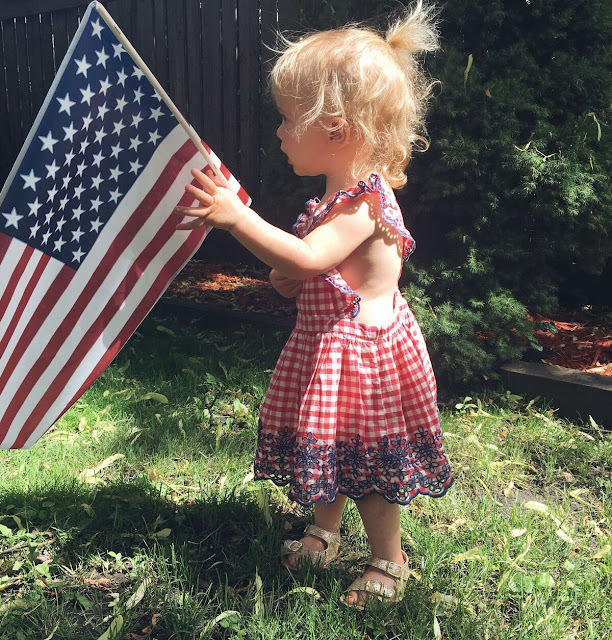 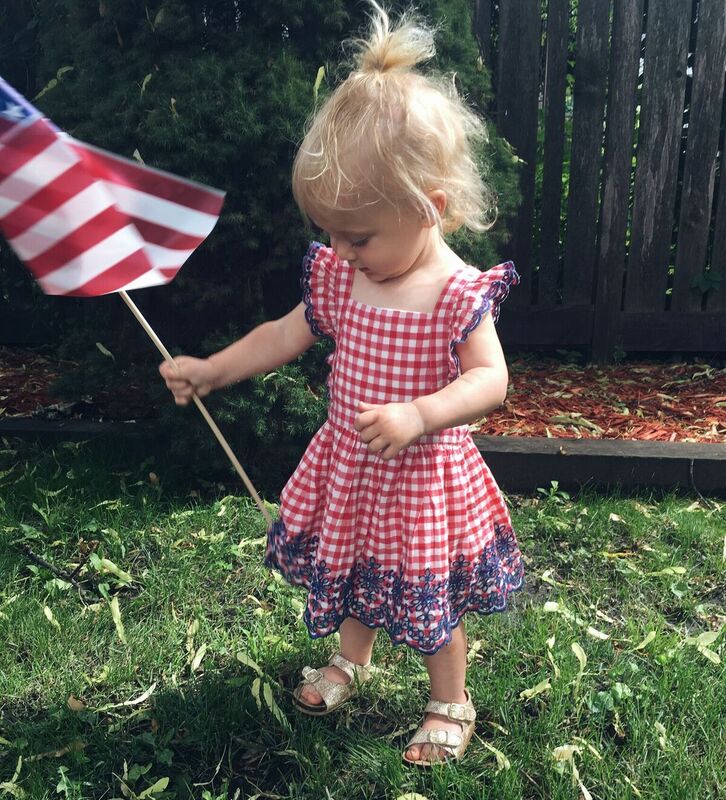 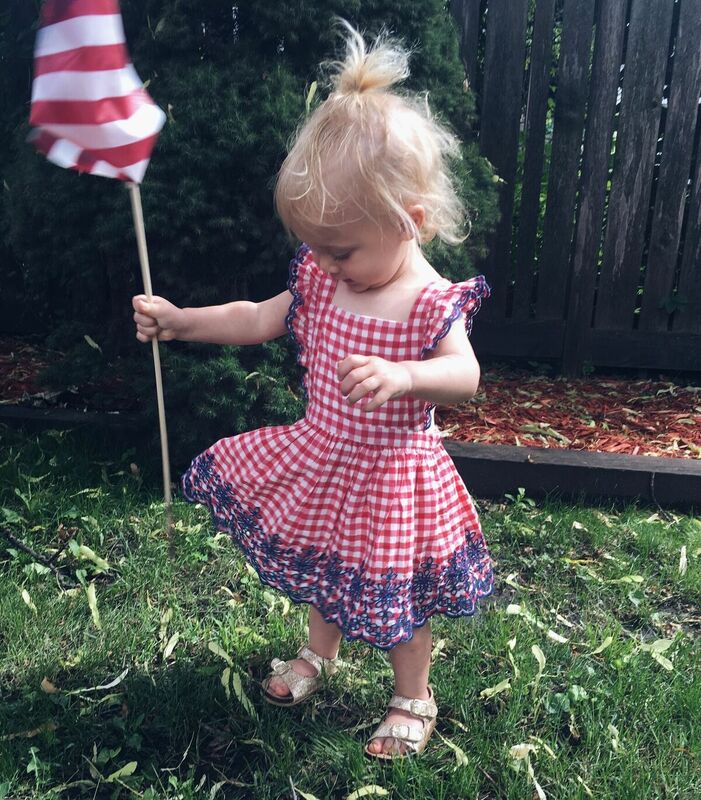 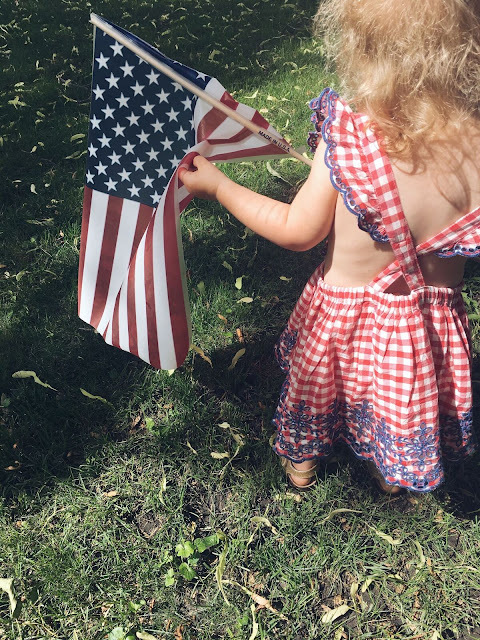 Littles in their patriotic best seriously kill me.